I needed a small bottle of Everclear for a cake I was working on. Those in the cake world know Everclear is the best to use when painting with gold powder because it quickly evaporates. Sadly though I could only find a gigantic handle (that is about 60 ounces)! I did not want an enormous bottle of this stuff hanging around my house, taking up space so I found an easy way to get rid of it. Moonshine it is! Notes: You can enjoy this once you’re finished making it, no need to wait! Please drink responsibly. My friends recommended straining out the coconut because it made it “weird” when doing shots. 1. 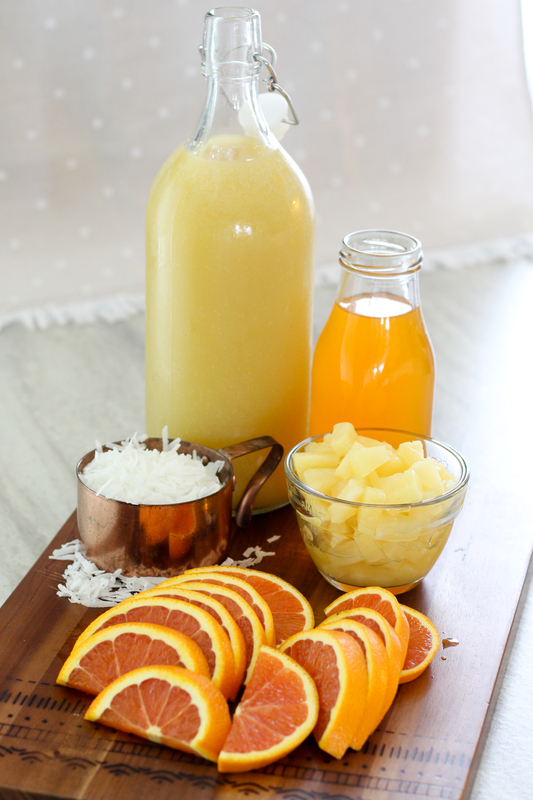 Reserve a few orange slices, pineapple tidbits and coconut for garnish and set aside. 2. 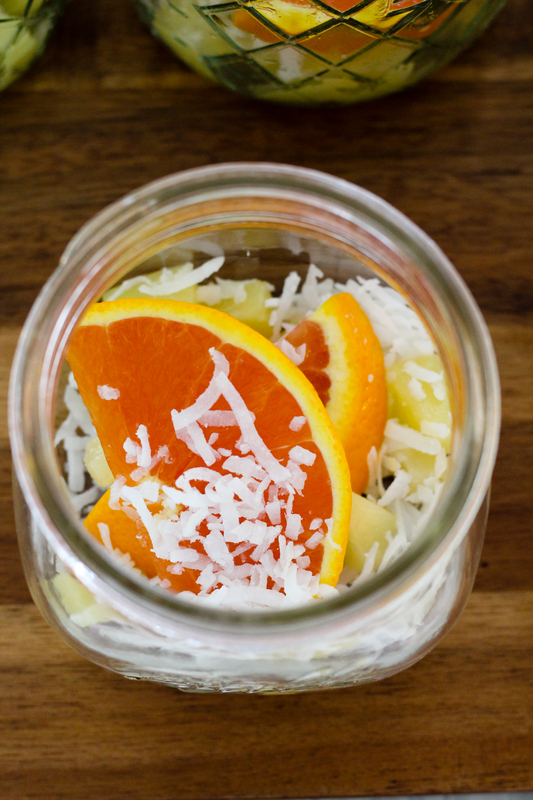 In a large crockpot combine the juices, remaining fruit and coconut and sugar. Cook on low for 2-3 hours, stirring occasionally so the sugar dissolves. 3. Remove and allow to cool before placing in the fridge overnight. 4. Once chilled, add the Everclear and stir. Strain into the mason jars. I use a canning funnel and mesh strainer and it makes it so much easier! 5. 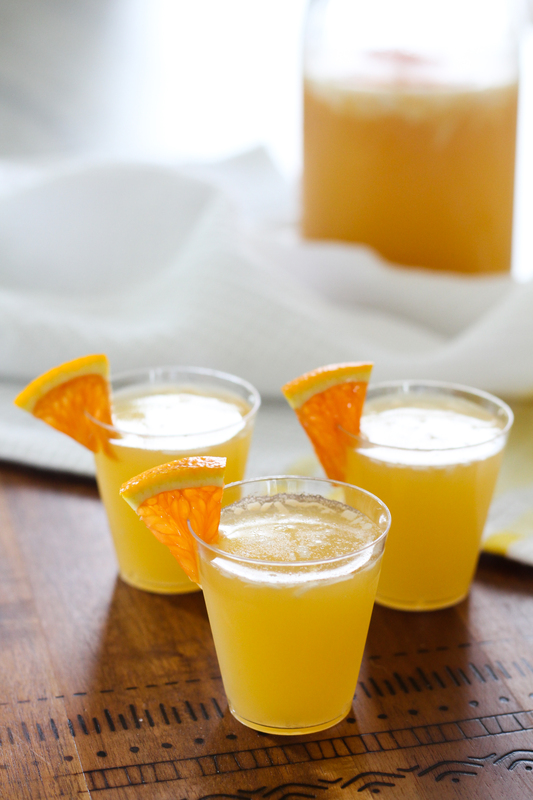 Add the garnish, if desired, and keep refrigerated. 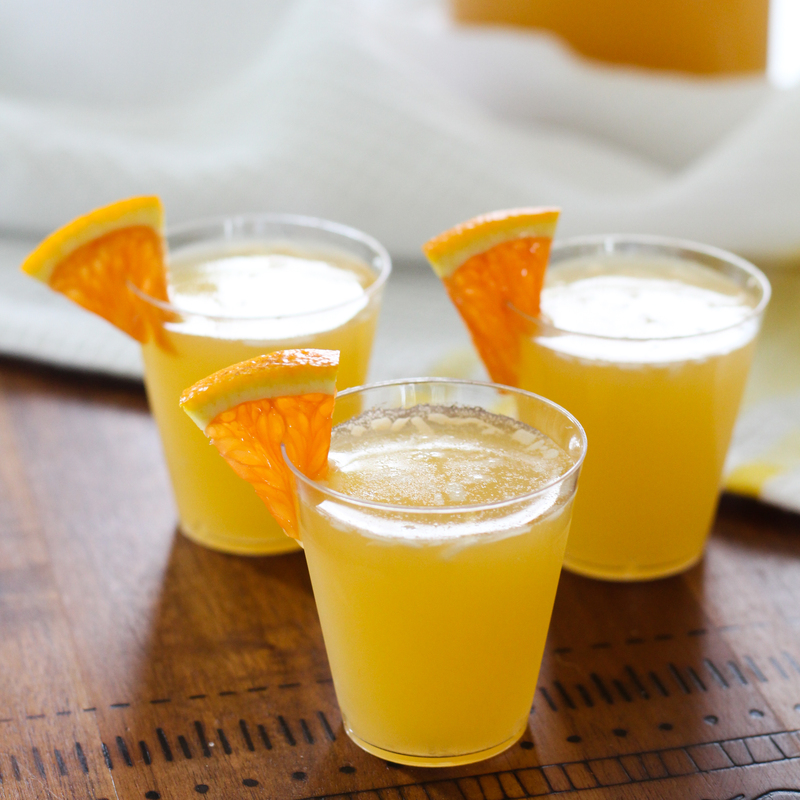 This entry was posted in Beverages and tagged Beverages, moonshine, summer. Bookmark the permalink.